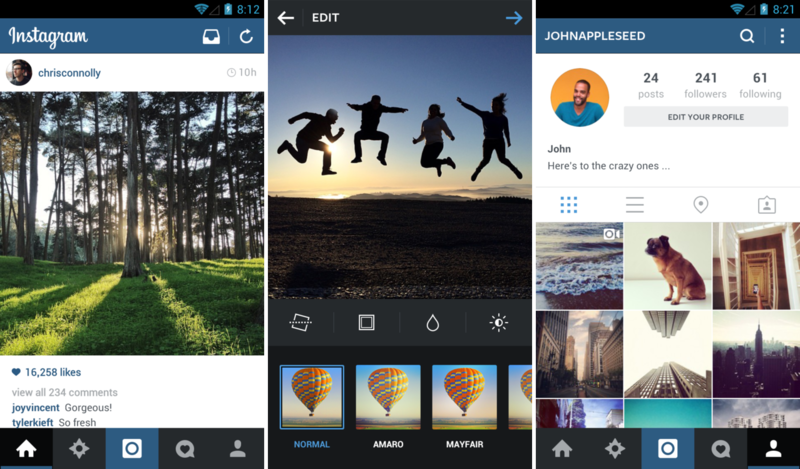 An update is hitting Google Play this morning for Instagram, version 5.1. Inside the update, users will be met with a refreshed user interface, one which is much more flat, taking cues from the iOS version of the app. By simplifying the app’s design, the developers have been able to cut the app’s size significantly, increasing the app’s speed all over the place. You won’t see any new filters or other editing tools in the update, but with a nice facelift, it’s as if Instagram has been given new life. If you haven’t noticed, it doesn’t appear that advertisements on the app have been all too crazy, so maybe Facebook’s purchase of IG wasn’t the worst thing to happen. Or it could be that they’re too busy writing checks for WhatsApp. Go grab the download off of Google Play.